The Act mandates that post-acute settings begin reporting of quality measures starting on October 1, 2016, and standardized patient assessment data by October 1, 2018. 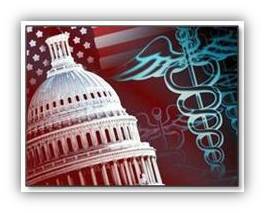 It is widely perceived that this information is necessary to the development of Medicare PAC payment reform. This legislation – which is expected to be widely supported – will have a significant impact on expediting CMS’ use of data to compare quality, cost and other factors across settings. The bill is on a fast track for action. The House sponsors have indicated the proposal will bypass the traditional committee mark-up process, and they expect to bring the bill to the Floor for a vote on the suspension calendar in July. The Senate will allow the House to move first, then move forward shortly afterwards. Summary documents prepared by the committees on the legislation can be found here, and a more detailed section-by-section can be found here. Post-acute care providers are defined as Long Term Care Hospitals (LTCHs), Inpatient Rehabilitation Facilities (IRFs), Skilled Nursing Facilities (SNFs), and Home Health Agencies (HHAs). Building on current tools (MDS, OASIS, IRF-PAI, LTCH-CARE), requires providers to report standardized patient assessment data across post-acute settings for assessing patients by October 1, 2018 for SNFs, IRFs and LTCHs, and January 1, 2019 for HHAs. The data shall include functional status, cognitive function and mental status, special services, medical condition, impairments, prior functioning levels, and other categories as determined by the Secretary of HHS. The purposes for collecting the data include comparing quality and resource use across settings. The bill acknowledges that data that is comparable across settings is the foundation for making recommendations including payment reform. By October 1, 2018 for SNF, IRF and LTCH and January 1, 2019 for HHA, the Secretary of HHS shall ensure a match between the patient assessment data submission and any claims data that is also submitted for each patient. By 2016, quality data would be used to help discharge hospital patients to appropriate facilities. The secretary may specify additional quality measures for PAC providers, which shall address, at a minimum, the following quality domains: functional status and changes in function; skin integrity and changes in skin integrity; medication reconciliation; incidence of major falls; and patient preference regarding treatment and discharge options. The timeline to submit under the applicable reporting provisions are included in the table below. In 2017, providers would be required to report standardized quality and resource-use data. Such measures shall be risk adjusted, as determined by the Secretary. By October 1, 2018 for SNF, IRF and LTCH and January 1, 2019 for HHA, the Secretary shall create procedures for making available to the public information pertaining to individual PAC performance related to the resource use measures. In an important change from the draft bill, before the initial rulemaking process to implement quality and resource use measures, the Secretary must allow for stakeholder input, such as through town halls, open door forums, and mail-box submissions. The HHS Secretary is required to develop a process around using quality and resource use measures to assist providers, suppliers, beneficiaries and the families with discharge planning from inpatient or PAC settings. The guidance shall include procedures to address patient treatment preferences and goals of care. The bill requires CMS and the Medicare Payment Advisory Commission (MedPAC) to provide Congress with reports that evaluate the information collected under the IMPACT Act and recommend features of a new PAC payment system. Recommendations on a PAC payment system that establishes payment rates according to individual characteristics instead of the setting where the patient is treated, are due by June 30, 2016.